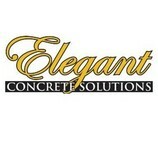 We are a full service concrete company. We remove existing slabs, pavers, blocks etc. to pour a new slab. We also resurface with an acrylic decorative overlay either hand troweled or spray texture. We then stain with any color you choose. Two coats of sealer are applied to protect your investment. Does not absorb oil and stays cool in direct sunlight. This can be done over almost anything. Walls, counter tops, steps, etc. We are a family owned and operated company. We specialize in designing and installing the highest quality paver patios, walkways, pool decks, retaining walls, fire pits, seating walls, landscaping and landscape lighting. Update the look of your pre-existing concrete with a durable and low maintenance resurfacing system. Using polymer modified acrylic concrete, Tek Decks offers a wide variety of custom styling and designs while providing a strong and long lasting surface. Tek Decks Acrylic concrete overlays systems as well as our epoxy based coatings are designed to be applied over the top of ANY pre existing concrete surface. In most cases, NO DEMO is necessary. Our non invasive installation process will leave you with a durable, low maintenance floor that is easy and simple to take care. Our Family Owned and Operated Company is dedicated to providing the highest level of craftsmanship and customer service to our clients. Tek Decks is committed to offering high quality decorative solutions to your flooring needs at an affordable cost. Ideal Concrete provides professional service for both commercial and residential clients since 1998. 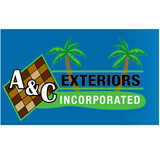 We offer a wide variety of state of the art decorative concrete applications. Ideal can transform existing concrete into a decorative surface which will be long lasting and easy to maintain. From simple patterns to extreme designs Ideal will work with you to develop a surface to be proud of. Please take a look at our galleries and we look forward to serving your concrete needs. Let us turn your old, unsightly concrete surfaces into a thing of the past. We provide today’s top applications for commercial and residential decorative concrete resurfacing. There is no need to replace your existing driveway, patio, pool deck or interior concrete floor. Through decorative concrete applications such as acid staining, stamped overlays, textures, custom designs, and engraving we are able to make your concrete new again. We also provide services for small countertops and river rock removal. 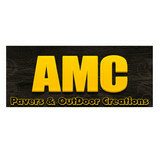 Bay Brick Pavers, Inc., DBA The Outdoor Floor Source, is a family-owned paver company in Tampa. We serve communities throughout Hillsborough County and south Pasco County. Karen Wilson and Ted Wilson opened Bay Brick Pavers, Inc. in 2006 and have been proudly serving homeowners throughout the Tampa Bay Area ever since. Astro Crete only buys professional -grade cement resurface products. Astro Crete has been working with cementitious coatings since 1987. With our vast experience in this industry we know what products work the best for your needs. Quality is always desired, seldom cheap, and never by chance. The Bible says, "A good name is rather to be chosen than great riches." We have chosen to have a good name in this industry. Our dedicated, knowledgeable team is committed to maintaining that good name. Because if you look good, we look good. That's why at Carolina Masonry we strive to produce quality workmanship at an affordable, competitive price. So, if your next project requires the installation of brick or stone, we hope you will consider Carolina Masonry. Straightforwardness and honesty is our approach. We will do our best to give you the quality you desire within the perameters of your budget. If we can do it for less, we will. If we can't, we'll tell you. Whether you are a homeowner, or a contractor, we want you to remember the name, Carolina Masonry, for the right reasons. Thank you in advance for the opportunity to build your next project and our good name. Alton Guimaraes, owner of Brazilian Brick Pavers, has been providing superior workmanship and outstanding customer service to the Tampa Bay area for more than a decade. Alton maintains a hands-on approach to managing customer projects. He often is involved personally in your project from the initial on-site estimate to the final inspection of the completed work. 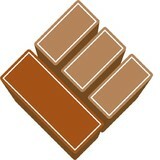 Fluent in English, Spanish and Portuguese, Brazilian Brick Pavers pledges to provide exceptional service and value. It is a family owned and operated business whose installers are friendly professionals and experts in their work. The company is licensed and fully insured. When you want to add value and beauty to your home or commercial property, contact Brazilian Brick Pavers for a job well done. You will receive a free estimate, and the work is guaranteed. From installing new exterior columns to repairing your chimney, masonry contractors can help you add both visual appeal and value to your property. They’ll know what kind of installation makes the most sense for your Citrus Hills, FL climate and regional style. Looking for something that will develop a patina with time? Or would you rather have your home feel brand new for years to come? Choosing the right kind of stone involves thinking about the future, too. Experienced brick suppliers and stone suppliers can help you find the material that will work for your home now and for years to come. These professionals aren’t limited to exterior work either. Whether you want a split-stone granite wall in the kitchen or need help installing traditional brick masonry on your fireplace facade, you’ll want a professional to get it right. If you’re already working with an architect or designer, he or she may be able to suggest a good Citrus Hills, FL subcontractor to help out. Here are some related professionals and vendors to complement the work of stone, pavers & concrete: Landscape Architects & Landscape Designers, Architects & Building Designers, Garden & Landscape Supplies, Driveways & Paving, Siding & Exteriors. Find stone, paver and concrete professionals on Houzz. Search the Houzz Professionals section for Citrus Hills, FL stone, paver and concrete professionals. Browse photos and read reviews, and contact a pro if you like their work.